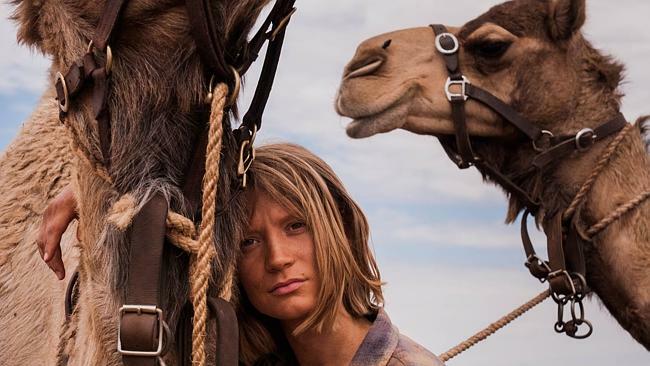 "This film shows off the journey of a woman walking across the desert of Australia. Her reason for doing so? Just wanted to do something for herself. Through brilliant direction and acting from lead, Mia Wasikowska, we are thrown into a long and blindingly hot survival story. I enjoyed this film a lot. I loved the survival aspect, the making friends and enemies along the way and the lead character's development throughout. She wants to be independent and go ahead with fantastical ideas because they are there and she knows they will give her the feeling of accomplishment. But while doing so she is realizing maybe she does need at least some people to support her. Both for emotional support and for knowledge of the lands. Take from this film what you will, but that is what I took. My only two issues with this picture is that maybe it does go on a tad bit too long. Only a little bit, because the longer the wait, the more impacting the ending is. But there are few long shots of desert I just think were unnecessary. My other issue is she keeps having flashbacks of her past. They never really felt very important. So 7.5/10 from me. Recommended. Oh yeah and that American actor from the new STAR WARS popping up was a shock, but he's brilliant."